One of the leaders of the disbanded extremist group ‘Shariah4Belgium’ has died in Syria, according to his wife who followed her husband of Moroccan descent Noureddine Abouallal (23) last April to the war zone with their two year old son. According to Tatiana’s father Frank, the family doesn’t even know for sure whether she is in Syria now, or at the Turkish border as she told after her sudden disappearance earlier this year. “But the possibility that she and her son are on their own now in the war zone, truly is unbearable”, he told. Abouallal’s sister was Tatiana’s best friend. And because her parents couldn’t afford vacations abroad, they allowed Tatiana to join the Abouallal family spending their summer holidays in Morocco. There she fell in love with him. At 18, she converted to islam and married him. According to Tatiana’s mother, he only radicalized after their marriage. “When we first met him, he was a modern guy in jeans who had a decent job. But soon after their wedding, he started to wear traditional robes, grew his beard and lost his job.” They called their son Mujahid — ‘fighter’ — and on his Facebook page, Abouallal expressed the hope that his child once would make that name come true. 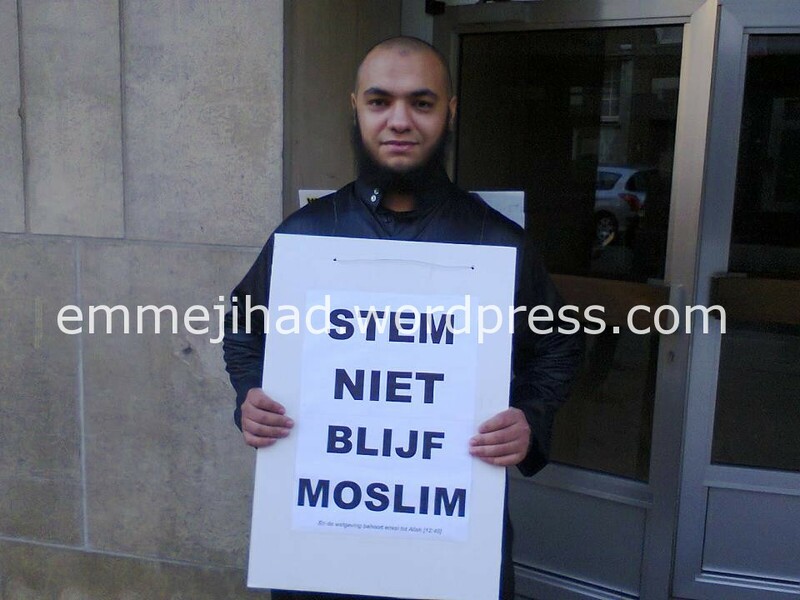 Abouallal came in the picture as one of the leaders of Shariah4Belgium after founder and mouthpiece of the organization Fouad Belkacem — a.k.a. ‘Abu Imran’ — was jailed in June 2012. At the press conference criticizing that arrest, Abouallal told that Shariah4Belgium never would stop, but instead destroy the Belgian democracy. In November 2012, he too was arrested a while — after an investigation was opened into possible terrorist activities of Shariah4Belgium. But he was released the same day — and shortly after that, Abouallal left the country to join a radical muslim militia in Syria.